At some point, during your studies of Pagan spirituality – particularly if you do any exploration of Native American beliefs – you may encounter the term “plastic shaman.” Let’s take a look at what that actually means, to whom it’s applied, and why you should be cautious of anyone who might be labeled as such. What is a Plastic Shaman? For many years, especially as the New Age and metaphysical communities have grown, people have found themselves drawn to spiritual systems of cultures not their own. There’s nothing wrong with this, per se, as long as one is not taking practices and then claiming them to be something they’re not. For instance, if you’re someone of a white European background, but you find yourself really intrigued by – again, for instance – the tribal practices of a group in the American southwest, that’s not a problem. You can read and study and learn, and expand your knowledge base beyond your own cultural upbringing. What does become a problem is if you find a few rituals you like, rooted in that Native American tribal practice, and suddenly declare that you, as a person of a white European background, are now an honorary member of that tribal group. This is what we call cultural appropriation, in which practices and beliefs are taken outside of the cultural context to which they belong. So you read a book about this group’s practices, and you’ve decided you’re part of their tribe – even though you have no reasonable claim to this, because you’re not of Native descent, and you’ve never even bothered to speak to someone in the group about these sacred practices. Let’s take that cultural appropriation one step further, where you start calling yourself an honorary tribal member, perhaps even taking a tribal name that you thought sounded fitting, and charging other people a lot of money to benefit from what you think you’ve learned. You’ve never learned anything within a cultural context, and you’re passing that failure along to people who think you’re an expert, and they’re willing to pay you to teach them. Now you’re a plastic shaman. This is an issue found regularly in the Native American community. 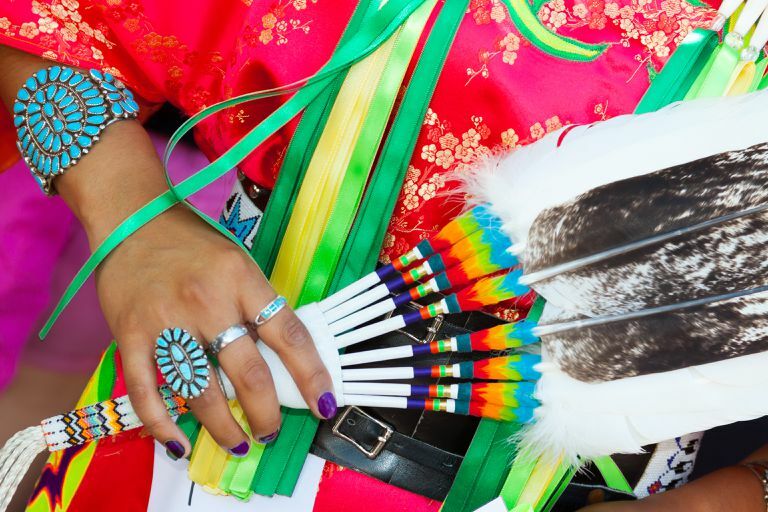 Often, non-Native American individuals co-opt Native beliefs and practices, and teach them to others, without having the cultural experience of actually being Native American. There are countless reports of people passing themselves off as holy men, medicine people, shamans, or using other terminology that implies a knowledge base in Native American practice, when in fact these individuals have no right to claim this for themselves at all. At best, plastic shamans are people who perpetuate a fraud based on your need for spiritual well-being. At worst… well, there’s New Age guru James Arthur Ray. In 2009, three people died during one of his Spiritual Warriors retreats, in which sixty-four people participated in a ceremony held inside a “sweatlodge” made of plastic tarps. Lakota elders filed a lawsuit against the United States, the state of Arizona, James Arthur Ray and the Angel Valley Retreat Center. The complaint stated that Lakota ceremonies are sacred, and as such, should never have been appropriated by Ray or anyone else who's not Lakota. Although the deaths were ruled as “accidental,” Ray was sentenced to two years in prison. When it comes to spiritual practices, nearly every Native American will tell you they believe it is unethical to charge a fee or collect money for sharing knowledge. If that “vision quest workshop” you’re attending costs you to be there, rethink it. Native American beliefs are tribe-specific, which means there’s no such thing as a universal Native American religion. If someone is touting what they teach as “authentic Native American spirituality” but doesn’t specify a tribal affiliation – or they admit to blending the beliefs of one tribe with those of another – then it’s not the real deal. Also, if they mix in other New Age things like Tarot cards and crystals? Not real. Because of the rich cultural context in which Native American spirituality takes place, Native Americans generally agree that learning and teaching can only take place in person, and one on one. That means if you’re signing up for an online class or ordering books on how to be a Native American medicine man, you’re not getting authentic information. Learning the spirituality of tribal practices takes decades – because it’s something that most Native Americans grow up learning, as an ongoing process. You’re not going to be privy to some deep esoteric secrets after one afternoon seminar, and anyone who tells you otherwise should be questioned. Don’t get fooled by buzzwords. Fraudsters and scam artists like to use things that get your attention – often, people assume that just because something is held in a sacred location that it must be legit. Remember that while places like Sedona may be sacred, they also make a significant amount of money from tourists hoping to be spiritually enlightened. The bottom line is that you need to be careful about who you learn from, and to whom you give your money. If you’re really interested in Native American tribal practice and spirituality, then speak in person to someone from the specific tribe you’d like to learn about. Giving your money to a plastic shaman not only perpetuates fraud and ignorance, it devalues and diminishes the beliefs of an entire group of people. For some great insight about studying Native American beliefs and practices when you’re not of Native descent, be sure to read this excellent article: Seeking Native American Spirituality. What are the Common Themes of Native American Spirituality?